Situated just minutes’ from the pedestrianised High Street in Crawley town centre, The Apex Apartments are a new collection of contemporary new homes ideal for town centre living. A central landscaped courtyard provides open green space for residents. Nearby Goff’s Park offers a green haven from busy town centre life, ideal for woodland walks with lake views. Visit our interactive Sales & Marketing suite in Cubitt & West's office on Grand Parade to find out more about this stunning new development. A collection of contemporary 1 & 2 bedroom apartments. Ideal for town centre living. AT THE HEART OF IT ALL. THE FANTASTIC CENTRAL POSITION OF THE APEX APARTMENTS PUTS YOU IN TOUCH WITH ALL THAT CRAWLEY HAS TO OFFER. From traditional shopping outlets at the all-under-one-roof venues such as County Mall and Kingsgate, to the a good old-fashioned market, where traders set out their stalls on Wednesdays, Fridays and Saturdays in Haslett Avenue West and The Broadway. All are within an easy walk from The Apex Apartments. For the food lover, Crawley has become something of a gourmet hub, where the flavours of the world converge in a truly eclectic mix. Many are located along the broad leafy High Street, some of them in the historic buildings that lend this part of town a special charm. The Hawth is Crawley’s main arts and entertainment complex and has an exciting and wide-ranging programme of live performances. The Hawth also has a Curzon cinema for movie viewing in deluxe comfort, and a welcoming café and bar. Keeping fit is easy when living at The Apex Apartments with Anytime Fitness and The Gym Group within easy walking distance. Crawley West Fitness and Wellbeing, a little further away in Crawley Leisure Park, offers swimming, pilates, yoga, zumba, and personal training. With a mere 35-minute commute into central London and with Gatwick on the doorstep, Crawley is ideally located for buyers looking to escape city life but still retain the key fundamentals of urban living. Following recent news that UK mortgage approvals hit a nine-month high in Summer 2018, coupled with interest rates remaining abnormally low, potential home buyers in Crawley have a great opportunity to land their dream new home. Now is the time to buy at The Apex Apartments, with unique offers available for home-buyers and investors alike. Crawley’s location between Brighton and London means couple working in both cities found their perfect home. There's never been a better time to invest in a new property at The Apex Apartments. With interest on savings producing a low return, investing in a brand new home could make your money work harder. “Since we have had the first finished apartments at The Apex, demand from tenants has been phenomenal with all the flats being rented within 24 hours of being on the market. The fantastic location combined with the fact that they are obviously brand new seems to be ticking everyone’s boxes at this landmark development”. With a wide variety of demand for rental accommodation in Crawley, and the excellent connections to London and Brighton by train, means investing in bricks and mortar now will enable you to take advantage of rental returns and the opportunity for long term capital growth. Plus the added benefit of attractive property prices and unprecedented low interest rates makes buying now more affordable. * The estimated rental yields has been calculated on the following basis: purchase plot 130, a at £301,000 with an expected average rental figure of £1,150pcm. * The estimated rental yields has been calculated on the following basis: purchase plot 147, a at £292,000 with an expected average rental figure of £1,150pcm. * The estimated rental yields has been calculated on the following basis: purchase plot 106, a at £266,000 with an expected average rental figure of £1,150pcm. 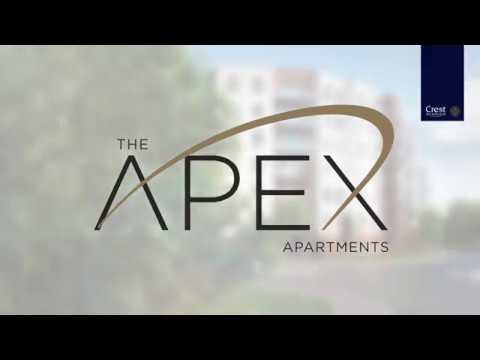 Why invest at The Apex Apartments in Crawley? Located only minutes from the city centre and the Crawley train station, The Apex Apartments offer an allocated parking space with each home, and a landscaped central garden for residents to enjoy. Residents will also be able to take advantage of the close proximity of Goffs Park, Anytime Fitness and The Gym Group, as well as a Morrisons and Asda, all within an easy walk of The Apex Apartments. The central location of The Apex Apartments and excellent travel connections by train or air from Crawley, make it an excellent choice for commuters and airline staff. With Crawley train station less than half a mile from the development, Gatwick Airport is just a 5 minute train ride, East Croydon 19 minutes, Clapham Junction 29 minutes and London Victoria just 42 minutes. Those looking to commute by car will also enjoy the ease of access to the M23 and M25, providing Motorway links to the south coast, London or further afield. All this and more make The Apex Apartments an excellent choice for Investors.